IN the six years since SPIN.ph started, we've taken our readers inside dugouts to team practices and even gave you a peek at what’s inside your favorite athletes’ bags - and even their lives. Now, allow Ricci Rivero to take us for a spin on his hot wheels. 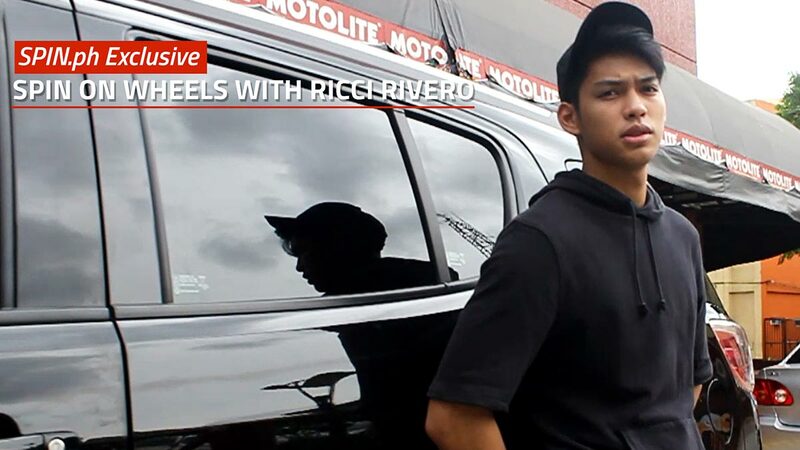 For the maiden webisode of SPIN on Wheels, let's hop in as college basketball star Ricci Rivero travels in his Chevrolet Trailblazer, which he loves not only because of its looks but also because it fits his big family. “Napili ko ‘to nasa Taft (La Salle) pa ako, syempre baha so kapag car ‘yung pinili ko, ‘yung maliit, baka ma-stuck lang ako doon kapag may flood so first talaga SUV,” said Rivero, who is set to play for the University of the Philippines next season. “And then marami kasi kaming magkakapatid (seven) or ‘yung mga friends ko so pinili ko siya kasi in a way makakatulong rin kasi medyo spacious rin siya,” he added. Rivero also loves the car’s safety features. “Automatic na siya ‘pag medyo madilim na mag-o-on na ‘yung headlight and then ‘yung wipers kapag medyo malakas ang ulan saka lang siya mag-ga-ganon tapos magde-depend rin ‘yung bilis niya doon sa lakas ng rain so pinadali nila,” he said. When stuck in traffic, he keeps himself entertained with songs by Justin Bieber and Daniel Ceasar or watches his favorite shows on Netflix, that is when he's not on the wheels. But there’s one thing he tries to avoid now that he owns a car for himself. “Kailangan talaga na may something na pwede kang gawin or before kasi I always eat talaga sa car pro ngayon iniiwasan ko kasi ako ang maglilinis eh,” he said with a chuckle. According to chevrolet.com.ph, the Chevrolet Trailbazer is prized at P1,618,888 for manual and P1,708,888 to P1,998,888 for automatic. Here now is Ricci Rivero, behind the wheel.